Logo To You gives you the perfect opportunity to purchase custom koozies to give out at your next event, conference, or sponsored sports day. Want to make your special birthday, anniversary, or wedding even more memorable? Why not upload your artwork or photography and let us take care of the rest? Custom Imprinted Collapsible Foam Insulator is made from polyester and foam. Promotional Economy Collapsible Foam Beverage Insulator is made from low-density 1/8” thick foam material. 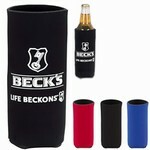 Custom Printed 3-Sided Koozie is made from 1/8-inch high density scuba foam. 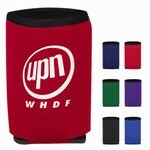 Logo Imprinted Koozie Coaster is made from polyester and foam backing. 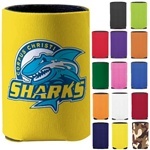 Personalized Collapsible Can Logo Printed Koozie Kooler is made from polyester w/foam backing. Promotional Logo Imprinted Summit Koozie is made from polyester w/foam backing. 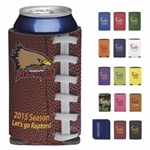 Promotional Collapsible Logo Bottle Koozie 16oz is made from polyester w/foam backing. 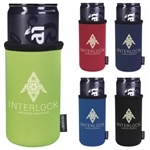 Custom Bottle Koozie w-Carabiner Clip is made from aluminum and polyester w/foam backing. Friends and family are sure to treasure these items, looking back fondly on the big event every time they use these vibrant, eye-catching coolers. Our custom koozies are priced to sell, making them a top pick as giveaway items. Customized options are a great memento for personal and community gatherings alike and work well as a special extra to hand out with gift bags at corporate events. It’s always nice to thank people for attending and taking part in your function, so what better way to express appreciation than with high-quality, affordable custom koozies? Our products are made to be stylish, yet functional—they sport sleek bodies and are lightweight, complete with an ergonomic design that will adapt to the shape of your beverage without adding awkward bulk. If you’re looking for a novel way to promote your business and get your brand out there, consider our can covers. They’re guaranteed to be a talking point at your functions and conventions, and since they’re a less common promotional item, your customers are likely to hold onto them for years to come. But that’s not all, with high-quality and high-res pre-designed images, you can simply pick your design, have it printed and be distributing goods to customers, colleagues, and potential leads in no time at all. LogoToYou.com truly brings elegant appeal to your promotional goods. Don’t worry if you don’t know where to start. We proudly boast excellent customer service and an easy-to-use online ordering system. Simply select the items you like, upload your graphics or choose a pre-designed graphic, and head over to checkout to complete your order. Please contact our customer service team if you have any questions, or to request a free sample of a customized product.